Andy should be here in about 30 minutes ... then another 4.5 hours to the ranch. Making good time ... passing through Seguin. ETA 11:39. We passed it a while ago. Thank goodness we are headed south! It was a doozy! We made it! Getting geared up and about to hit the sack. Catch y’all in the morning! I talked Andy into a bourbon drink! It's raining like crazy here, and isn't supposed to let up until 8am tomorrow. We'll be in the stand regardless, it just might be a little less productive. Well, we got a few hours of sleep. Heck of a start to the morning and already some action!!! That is what I got to walk into when I opened the blind door! Lol....classic! Helped calm my nerves down a tad though! Ha! Was not expecting that! We're in the blinds and extra corn is out, since Jeremy positions bow blinds 40+ yards from feeders. It was a little muddy coming in, but the rain has stopped, for now. It was hard to explain that one, when I sent it to the sign shop. Luckily it's an old friend that loves a good prank. Jeremy was almost reluctant when I told him I was having it sent to his house and needed him to hang it in your blind before this morning! For reference, it's 24" wide and 36" tall! Lol...that is some funny ****! Had me rolling. Good stuff sir! Hogs and deer on hand corn! Come on daylight! 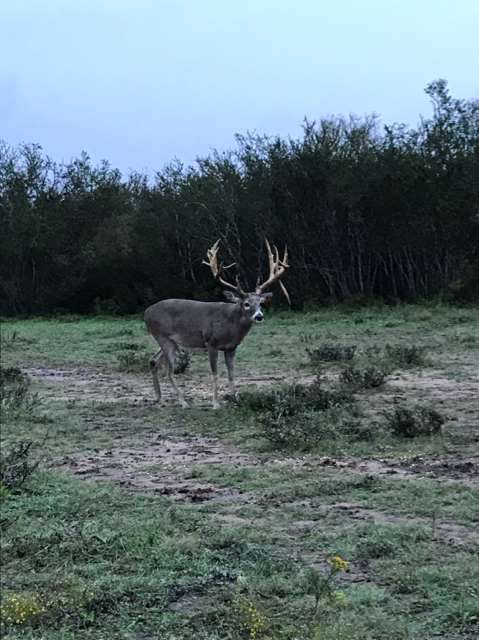 BIG bodied buck at 19 yards on hand corn. Feeder just went off and dumped 5 ounces of corn. They should be pouring in any minute now. Get em boyz good luck!!! 18 yards for a long time! Any other place I would have let one fly on this 10! Word is that one of Andy's targets is inbound! The poster in the blind......... instant classic. 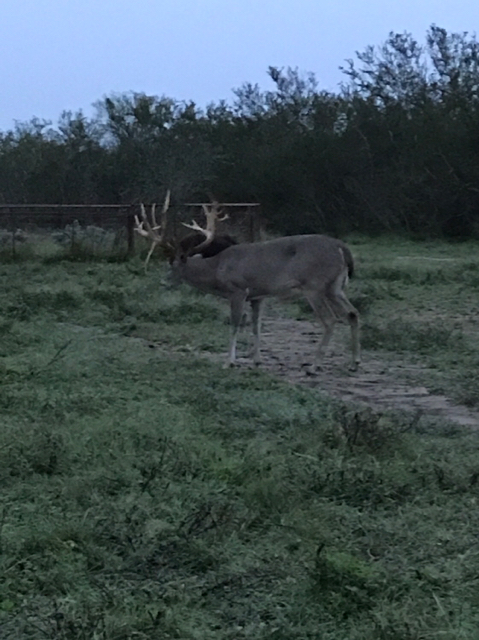 Target buck #1 at feeder! Need him to get out and come stand here! 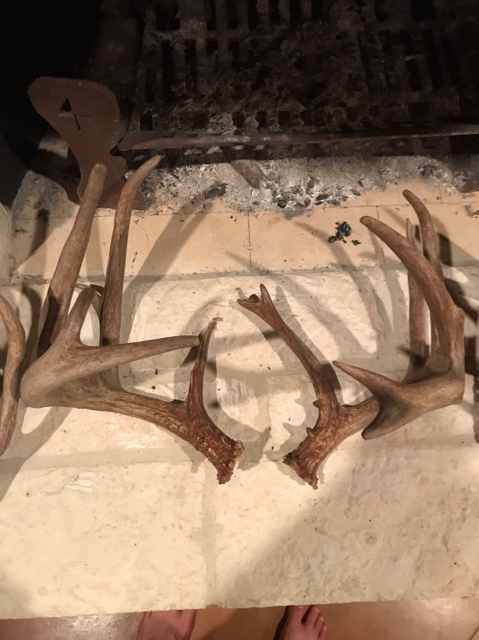 Wow those are some great deer! Good luck fellas! Awesome! Get it done first thing! Mr. Big brow gave him a shot and he didn't want to wait for stickers. Jason watched him fall after a very short run. Proper LDPs to follow shortly! Stone cold killing with a neeked azzed dude in the blind! Not sure if I should be impressed or concerned?? I'd say good luck but it sounds like I'm too late for that!! Bring on pictures! Well deer pictures!! I’m thinking he killed early to spend more time with that poster. Don’t shake his hand!!!! Congrats!! Looking forward to the DEER pictures. That dude has got a nice ***! Wowsers!!!! Congrats again. Shot of whiskey for a little morning celebration! Jesus what a beast! Congrats! Dam good un! Congrats! That sucker has a head on him. We're done for the morning, Greg. There was nothing happening at my blind. I gotcha! Can’t wait to see what you get too bud, good luck!